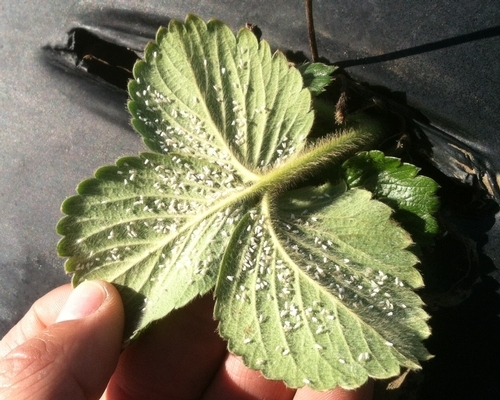 Whiteflies are usually considered a minor pest on strawberries, but greenhouse whitefly, Trialeurodes vaporariorum has become an important pest with regular and high infestations in the recent years. Due to the increased concern, I spoke at my recent extension meetings and wrote an article about whiteflies to inform the strawberry industry about potential risks and management options. Infestations in different fields in the Santa Maria area varied widely from a few whiteflies here and there to as many as 100 or more per leaflet on many plants in large areas. Heavy infestations of whiteflies cause direct damage to strawberries through their feeding and indirectly through sooty mold development on honeydew secretions. Additionally, whiteflies transmit Strawberry pallidosis associated virus (SPaV) or Beet pseudo yellows virus (BPYV) that contributed to the pallidosis-related decline of strawberries in association with non-whitefly transmitted viruses. 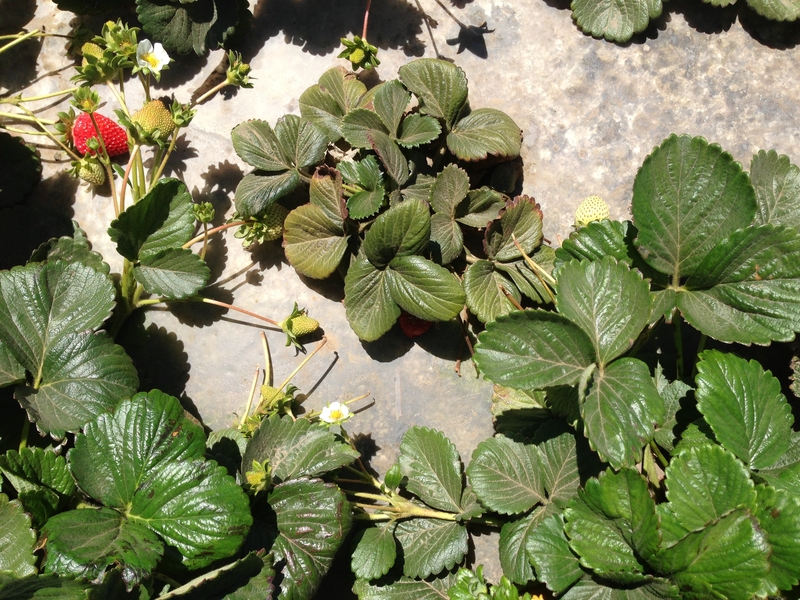 Both SPaV or BPYV and other viruses transmitted by aphids, nematodes, or pollen are necessary to cause the pallidosis-related decline of strawberries. 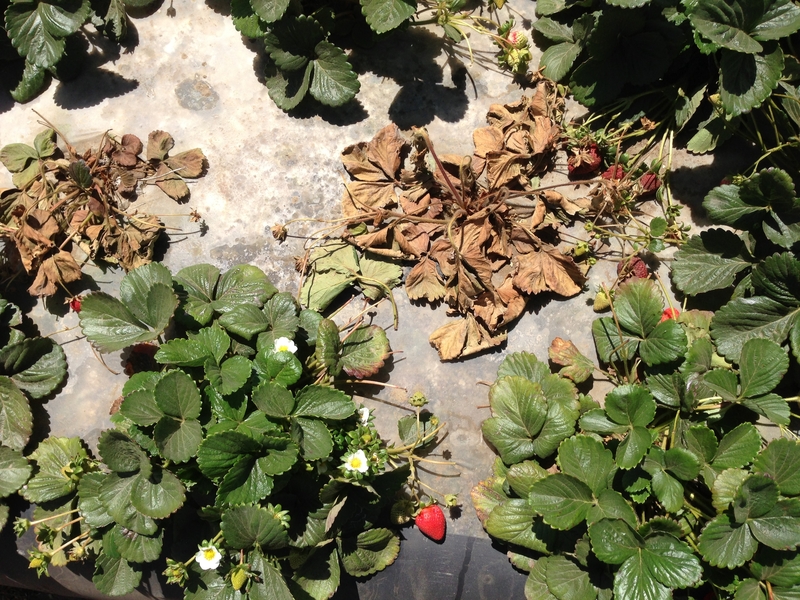 A few fields in the Santa Maria area (cultivar San Andreas) seem to have a problem with dying plants. 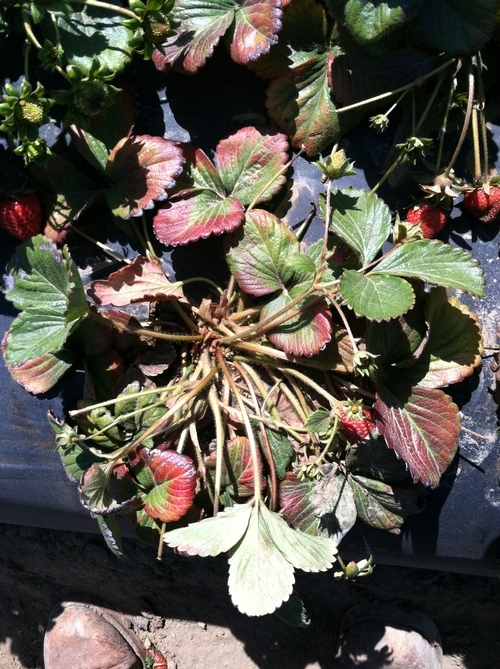 Stunted plant growth, purple or reddish foliage, and brittle roots which are typical symptoms of pallidosis-related decline of strawberries are seen in the affected fields. 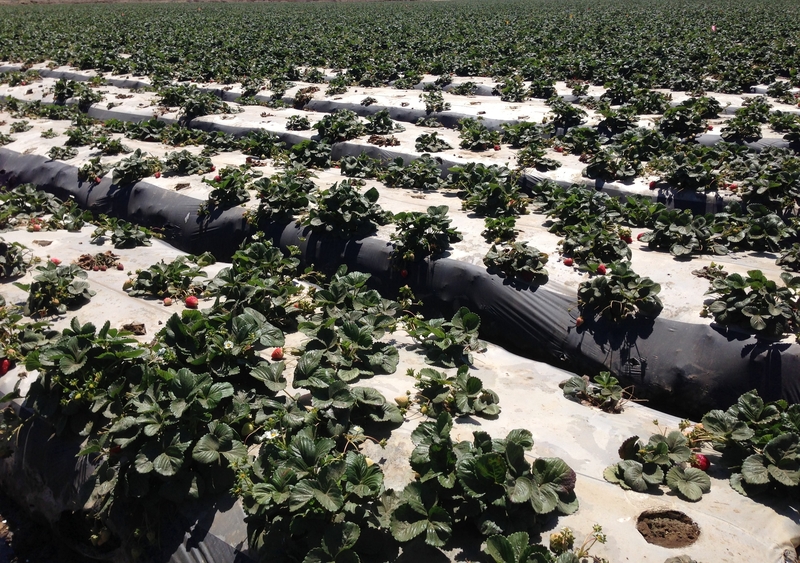 These fields also suffered from high whitefly infestations. Preliminary testing of samples at the ARS laboratory in Salinas revealed the presence of SPaV. Additional testing is underway at another ARS laboratory in Corvallis to detect non-whitefly transmitted viruses. Although whitefly history, disease symptoms, and the presence of SPaV suggest pallidosis-related decline, it is necessary to confirm the presence of other viruses. These incidents emphasize the importance of certain pests especially when they are also vectors of some diseases. 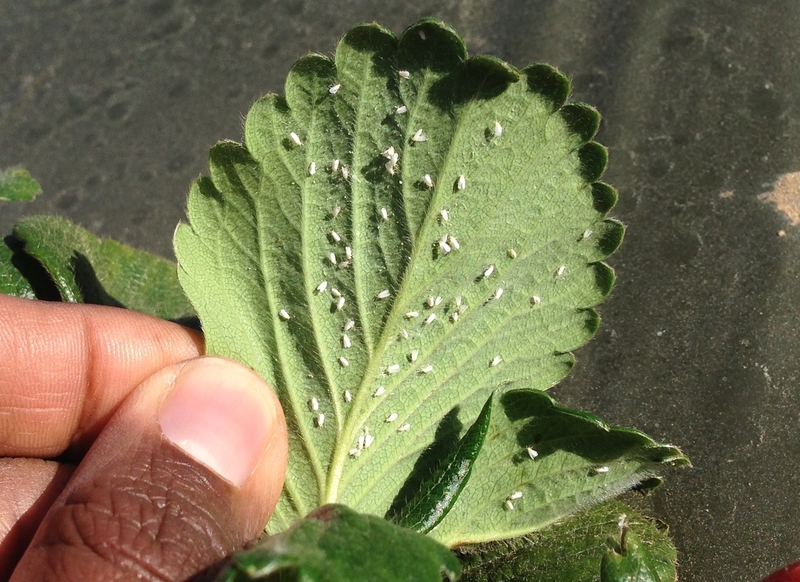 Growers should exercise caution in regularly monitoring fields and taking appropriate management decisions to control whiteflies. Suspected plant samples can be sent to our office in San Luis Obispo or to the Ag Commissioner's offices in Santa Barbara County. This is good, thank you Surendra for posting this. This problem is confounding quite a few people and I haven't ever seen anything like it. The photo series is interesting, we have one case of a plant declining with some reddening which one might associate with virus infection, yet the next picture is of a plant which is simply not "thrifty" (to use a word I learned from a PCA colleague yesterday) and not showing any discoloration or wilting. However, the third picture is the one which interests me the most. Here we have two dead plants next to several which are apparently unaffected. This says to me that what is affecting these plants is not very plentiful but of very high impact. If a plant gets it, it dies and if it doesn't, nothing happens. This is different than what I recall from the pallidosis related decline (combined with BPYV) we had in Watsonville in 2003, where plants in the center of the affected area would have the most symptoms and plants towards the outside showed less, meaning that plant response was based on concentration of the malady within it. Food for thought. Very useful post. Identifying those other viruses is important first to know whether or not this is pallidosis-related decline. I found out that the mechanism of synergy between SPaV or BPYV and other viruses is still under investigation. Since some of these disease are not common, we learn something new with each incidence.